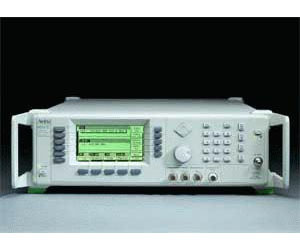 AM, FM, phase modulation, pulse modulation, scan modulation and user-defined modulation make the Anritsu 69300B series perfect for signal simulation. Internal modulation generators offer 7 modulating waveforms plus optional user-defined modulation waveforms. Internal Gaussian and uniform noise capabilities provide controlled clock jitter for digital receiver testing. Advanced internal pulse modulation generates single and multiple pulses, for the ultimate in radar blind spot and recovery time testing. In addition, Anritsu’s unique pulse generator provides moving target simulation, radar and fading simulation.